Come to Our Home for the Holidays! We’re getting into the Holiday spirit and our motto is “the more the merrier!”—so come on over! Turn up the Holiday JaMs. We love song requests! Cozy up in our comfy leather couches, grab a glass and sing along…Michael Buble anyone? 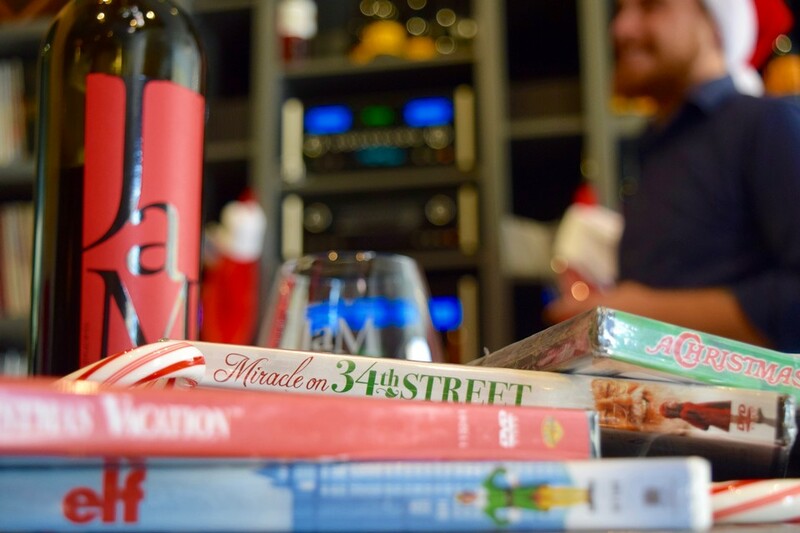 Catch a Christmas flick… every #TipsyTuesday and #WineWednesday at 7pm. Pair your favorite JaM wine with Elf, Christmas Vacation, or Love Actually. Check out the events calendar for showings! Ugly Holiday sweater contest: We’re throwing our first Ugly Holiday Sweater JaM on Friday 12/16. So skip the sequin dress, fancy slacks and throw on your dorkiest, most hilarious Holiday sweater. There will be a prize—will it be you? Can’t make it? Send us a pic of your favorite ugly Holiday sweater (glass in hand, of course!) @JaMCellars #JaMCellars. And there’s more…check out the events calendar to see what’s going on every day of the week including live music JaMSessions every Friday starting at 9pm—no cover charge.